Everything about this scarf is special to me. The yarn was purchased on my trip to NY last Sept. It is made for a favorite person of mine, who was admiring the yarn when we were there. Every stitch was done with love. I am so pleased with how it came out. This was meant to be an accessory piece, not a ‘warm winter’ scarf. My intention was to just make a delicate splash of color. The final scarf is 36″ long and 5.5 wide. 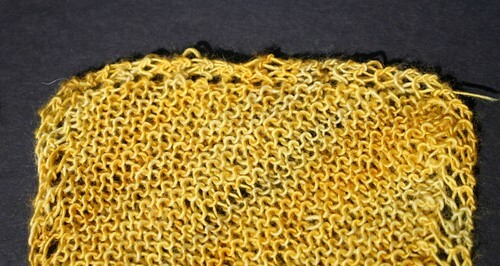 (x) – the number of stitches on the needle at this time. Row 1: Knit 2, yo, knit one. Row 2: Knit 2, yo, knit to end. Repeat row 2 until you have a triangle that is as long on one side as you want the width of the scarf to be. (the stitches on the needle will not be the width.) For me, this was 45 stitches. Now, you are going to effectively turn, and make the length of the scarf. On the next row, and from now on, you are going to keep the same number of stitches. K2, yo, knit to within 5 from the end, K 2 tog, slide that stitch back to the left needle, slip the next stitch over the stitch you just made. Then transfer that stitch to the right needle. YO, K 2. 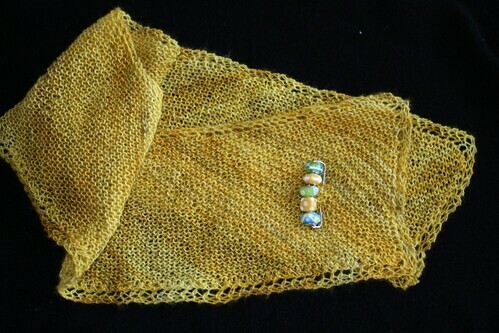 This set of stitches ensures that you will have a hole on both sides of the scarf. Repeat those two rows until the scarf is as long as you want. When it is as long as you would like, you are going to start the decreases. On the back you will decrease one stitch on both ends. Knit 2, skpsso, knit to within 5 of the end, K 2 tog, slide that stitch back to the left needle, slip the next stitch over the stitch you just made. Then transfer that stitch to the right needle. K 2. Do this until you come to the row where you have 8 stitches. (This will not be enough to do the normal pattern. )The front will just work k2, skpsso, yo, k1, K 2 tog, slide that stitch back to the left needle, slip the next stitch over the stitch you just made. Then transfer that stitch to the right needle, yo, K 2. K2tog. Cast off last stitch. Leave 12 inch tail. cut yarn. Weave in ends. The way I usually weave in ends is “straight”. And for this scarf, that got in the way, and did not look as good. 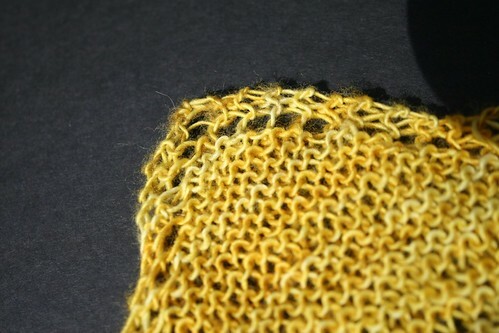 You can see the yarn worming up between stitches at the top. Instead, try weaving the yarn in a more random pattern, and down into the work. That way it will be invisible. Off it goes! I hope she likes it! Heyy, thanks for the awesome pattern! I was wondering, did you use up the whole ball, as in the whole 840 yards? Thank you so much! Natalie, No, goodness. I’m sorry I don’t know how much I used, but I tried two different patterns with the yarn, and I still have more than half the ball left. If I had to guess (and really, it is a GUESS) I’d say this takes 150 – 200 yds. It’s not a big project. Hope that helps! make!! This is just the right thing as I am watching TV and working on it. My yarn is shaded also and it’s not a hard pattern to keep me going!! Great things and being elderly, I cannot afford to buy the ones I really like. Thanks again & God bless you and yours. Ruthie, Thank you for stopping by our site! And thanks for the lovely comments. I’m so glad you like the pattern. I just want something light and bright for the summer. This like it,s the right one! 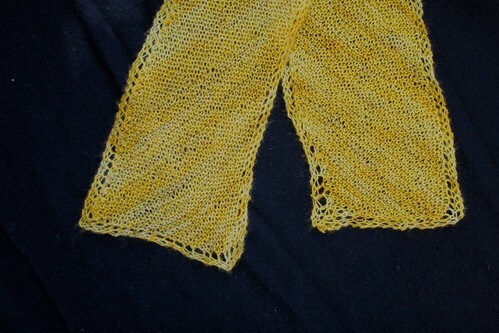 I love the Spring Scarf : Diagonal Scarf with Border and would like to try to make it. Being a novice knitter, I wanted to know if this pattern could be worked on straight needles. Mindy Rose, By all means! 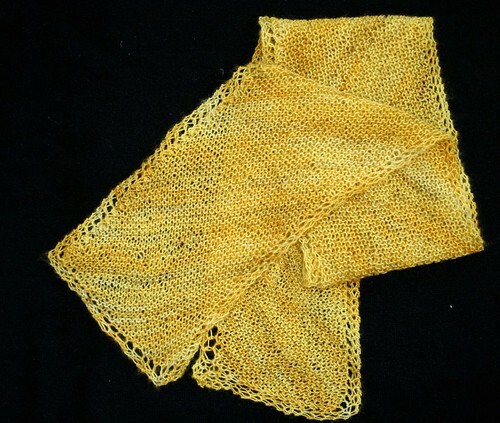 Knit on straight needles! This is a great beginner project. 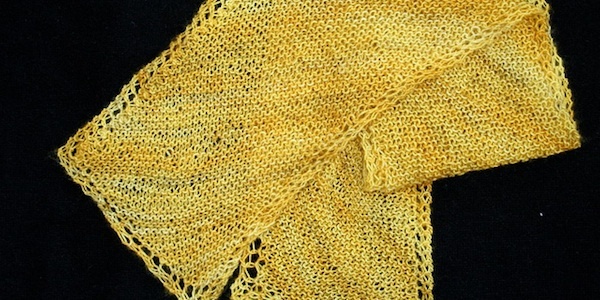 Have you ever knit a dish cloth? (I know some beginners start with a dish cloth.) This pattern is the same as many dish cloth patterns, but it just goes on longer than a square, It goes on and on to form the length that becomes the scarf. Thanks for visiting! Show us your progress, I would be so excited to see! Thanks Susi. I went ahead and am now working on the body of the scarf. Looks great so far! Mindy Rose – that makes me thrilled to hear it! I am delighted you started, and that you like it so far! Way to go! I cannot wait to see pictures if you want to post them!